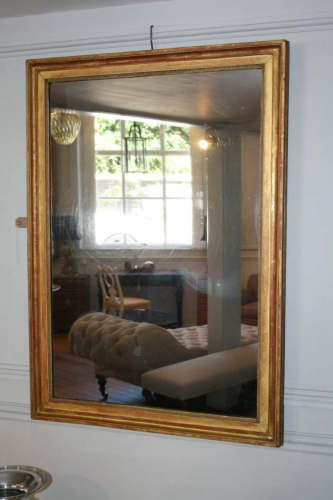 A simple and elegant rectangular mercury glass mirror, French c1880. The gold leaf is a lovely soft gold with a slight hint of red gesso. A lovely piece in original condition. Can be hung portrait or landscape.